Why is Stellar lumens (XLM) gaining so much traction? Up until now, Stellar lumens has been nowhere close to the ripple (XRP) when it comes to attention from the investors. However, that is changing slowly. Currently, Stellar lumens (XLM) is at the 4th position when you take into account cryptocurrency market cap. It has overtaken Bitcoin Cash (BCH). It is now the 4th the most valued cryptocurrency. When you look at the current valuation of Stellar lumens, it has a market cap of $ 3.19 billion. It is trading around $ 0.1664. Today as well, it has increased by 4.24%. Thus, it is most steady as compared to some of the other cryptocurrencies as well as Altcoins in the current correction. With the turmoil in combined Bitcoin Cash (BCH), it seems like it will be easy for Stellar lumens to actually hold onto the current position. Also, there are quite a few fundamental developments in Stellar lumens (XLM). This is one of the main reasons why it has been able to climb steadily irrespective of the volatility in the cryptocurrency markets. In recent news, Malaysian exchange decided that it will be better off to move to the Stellar lumens (XLM) blockchain from Ethereum (ETH) blockchain. 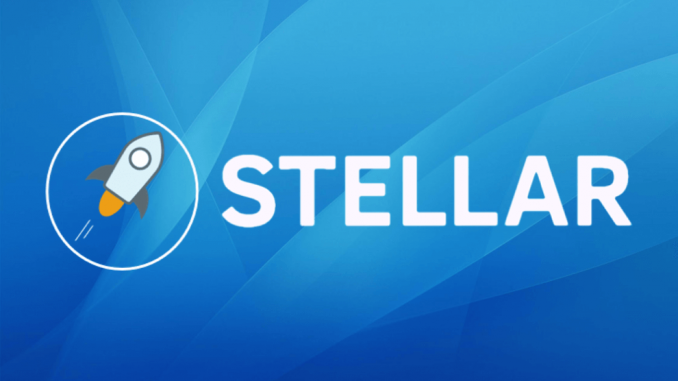 The exchange clearly stated that the blockchain of Stellar lumens (XLM) is not only faster but it is cheaper as well. This is the reason why it moved over from the Ethereum (ETH) blockchain to the Stellar lumens (XLM) one. At the same point in time, Stellar lumens (XLM) has also been listed on quite a few exchanges in the month of November. Some of these exchanges are bithumb, bitoasis, coindelta. Whenever there is a listing of a cryptocurrency on a few exchanges at once, the volumes increase and the attention which it gets from the investors also increases significantly. This is exactly what has happened with Stellar lumens (XLM). At the same point in time, the main function of the Stellar lumens (XLM) blockchain is also gaining more momentum. It is partnering with more and more companies and financial institutions to use its blockchain for remittances as well. This will help it gain even more traction. This is another advantage for Stellar lumens (XLM). For now, Stellar lumens (XLM) has played is second fiddle when it comes to ripple (XRP). However, it finally seems to be gaining some amount of traction. If it continues to gain traction at the same pace, it might rise even further. One thing which is for clear is that it is no longer the distant cousin of Ripple (XRP). It is fast emerging as a credible alternative even though the market cap of Stellar lumens (XLM) is still much lower as compared to the ripple (XRP).